The Baton Rouge Lakes, consisting of the University Lakes and City Park Lakes, is a hot destination for water recreation. 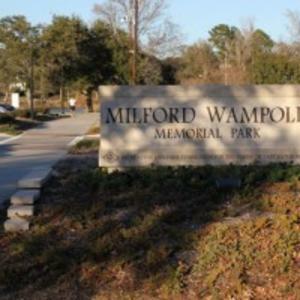 Wampold Memorial Park hosts the “Baton Rouge Beach” and you’ll find families playing in the sand and friends with their hammocks tied to the trees. Whether by kayak, canoe, or on a paddle board, spend the day at the LSU Lakes. If you don’t have your boat, paddles, or other gear with you, rent it from local outdoor outfitters, recreational centers and rental companies. If you&apos;re going for your best round or just in for the good time, Baton Rouge&apos;s multiple prestigious golf courses make for a great day spend outdoors. The Baton Rouge Riverfront is a great destination for those who love being outside. The Mississippi River Levee Path follows the river all the way downtown, with various attractions, restaurants and points of interest located along the way. Stop to sit in the Baton-Rouge-red Adirondack chairs at the Florida Street trailhead, overlooking the passing barges and tug boats on the river. 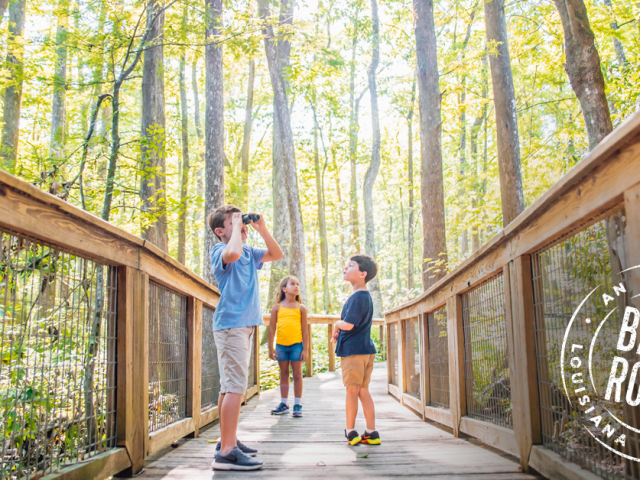 At BREC&apos;s Bluebonnet Swamp Nature Center you&apos;ll find over a mile of gravel paths and boardwalks linking various habitats and wildlife to explore. 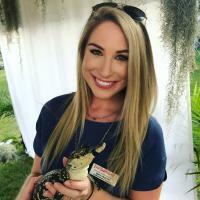 Inside its exhibition center you&apos;ll find live animal exhibits; photographic presentations of the site&apos;s flora and fauna; natural artifact and mineral displays; a vintage waterfowl decoy carving collection and more! 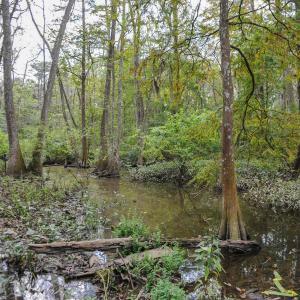 To learn even more about Louisiana swamps and wildlife, go for a full-on swamp tour. 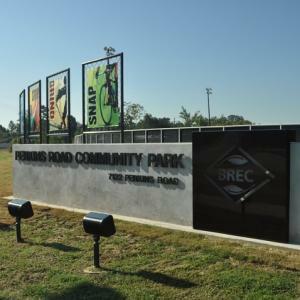 Find the perfect park or playground in Baton Rouge or other specialty parks like the Perkins Road Extreme Park which features rock climbing, a skate park, BMX track and more. 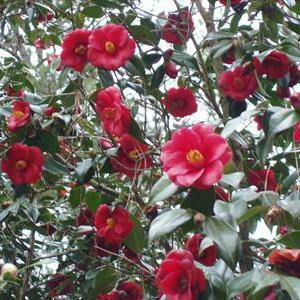 Take a leisurely stroll through botanical gardens in Baton Rouge like the Burden Gardens and Independence Botanical Gardens that showcase the flora of our region. Have a fun day with your pup with a trip to the Raising Cane’s Dog Park or the BREC Dog Park on Burbank. If your dog is an extra good boy, take him to one of Baton Rouge&apos;s pet-friendly restaurants. Water Parks like Blue Bayou and Liberty Lagoon are just some of the many ways you can keep cool outside in Baton Rouge. More outdoor activities in Baton Rouge.